Why not experience ‘the wait”? Hello! How are you doing! How has your week been? What is different? Mine has been good, as my friends will say “ it has been Gucci”. Sometimes in life, we need to WAIT. I have heard questions like “How long will I be waiting?” “How long will it take to get over this?”. No matter what you wish were true, or what you want to achieve or accomplish, you can only go one step at a time. The truth is life doesn’t always happen as planned. Sometimes it comes with a couple shocks and twists; however, that doesn’t mean all hopes are lost. 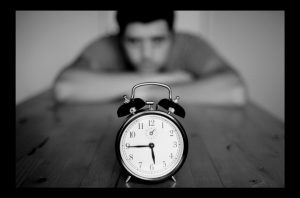 There is so much to put into consideration when it comes to “the Wait.” Some of us have time limits when we set goals. Nevertheless, we fail to keep in mind that there could be tough, and rough times. When things are not going the way you want them to, instead of getting frustrated, you must learn to be patient. You need to see things and situations in a favourable light to make your life happier. And to get that positivity, you need to be patient. As I said, we need to take things one step at a time. Hence, during “The wait” which might sometimes stand out to be a challenging period or situation that seems difficult to bear, the essence of patience is essential. Also, try to re-frame that situation and try to see its positive side. There is so much more to share and talk about in light of this topic, and I plan to do so in the future. Let me know what you think, kindly, share your thought and opinion. Have a wonderful week.